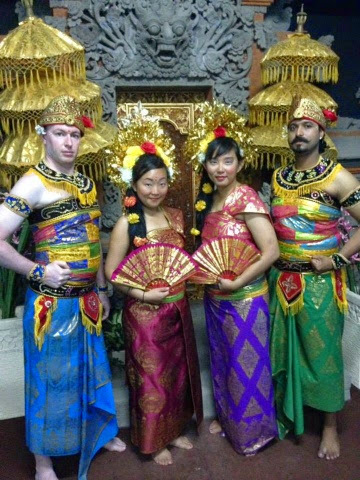 Posing in traditional Balinese costumes. Recently abut three weeks ago, I made an ad-hoc trip to Bali in January to join a couple of mates in Sydney. They were Dominic B (a french Canadian speaking friend), DJ (hindi and arabic speaking friend? ), and a cantonese-french-speaking friend, Isabelle. It was a last minute decision on my side (bad CY!!) but it's probably one of those things I would ever only do once in my life time... ROTFL. The ticket wasn't cheap... 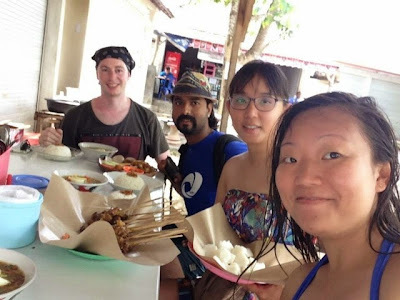 I ended up spending about 700 dollars on a one way ticket from Sydney to Bali. 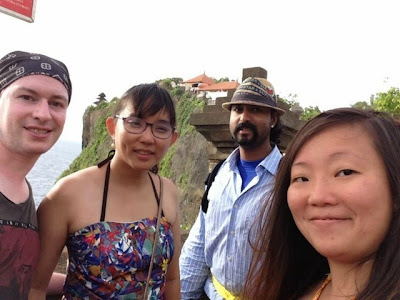 During our trip in Bali, a few of us made the ad-hoc decision to go and "cosplay" (for a lack of a better term) in traditional Balinese costumes. I wasn't too enthusiastic about it, but hey, why not? 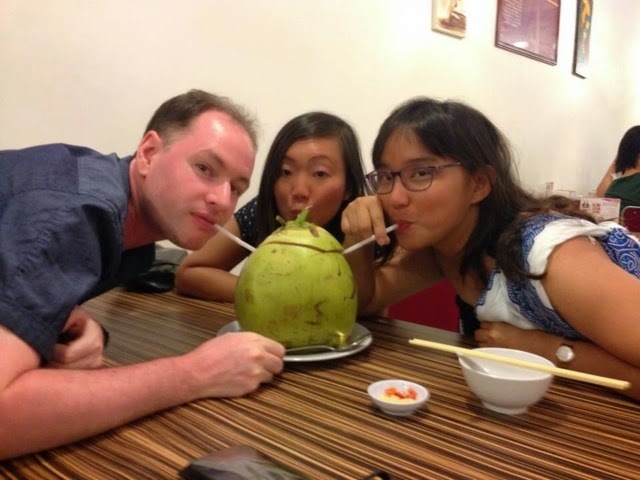 After the trip, I took a flight back to Malaysia to go and visit my family. I am also here shortly for Chinese New Year. which turned out pretty good for me in the end. Edit 10/2/2018: It was quite an interesting time, as I rarely go on group trips to anywhere in the world these days since moving to Melbourne. Ah, what fond memories to look back at.